Imagine yourself dressed in workwear built for the cold. What does it look like? We think it looks like this Wrangler Riggs Men's Rawhide 3W178 RH Hooded Utility Jacket -- insulated, warm, and made to work. This no-nonsense work outwear delivers durable, functional ... (see full details) (see specifications) #3W178RH. Imagine yourself dressed in workwear built for the cold. What does it look like? We think it looks like this Wrangler Riggs Men's Rawhide 3W178 RH Hooded Utility Jacket -- insulated, warm, and made to work. This no-nonsense work outwear delivers durable, functional cold-weather protection. This men's utility jacket can keep you warm in the coldest weather. Its HeatSeeker™ quilted lining with 100-gram polyfiber insulation traps body heat and feels super soft against your skin. It's an extra layer of protection from the cold. When the cold sets in, the hood with drawcord on this work jacket helps keep the chill off your head, ears, and the back of your neck. The sleeve cuffs and jacket bottom are ribbed to ward off the cold. In addition to warmth, this men's insulated workwear is functional. An action back offers freedom of movement. The heavy-duty front zipper makes it easy to put on and take off. There are two lower front pockets and a left front chest pocket that closes with a vertical zipper. For additional storage, a secure inner pocket helps keep valuable items safe. 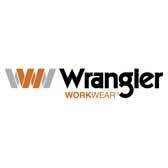 This is Wrangler workwear, so it's built for long-lasting, durable wear in a 10-ounce 100% cotton canvas, delivering the natural comfort of cotton in a durable canvas weave. You can't beat it for tough wear at work. For added durability, triple-needle stitching construction makes for stronger seams and increased overall durability. This Wrangler Riggs Men's Rawhide 3W178 RH Hooded Utility Jacket is perfect for working in cold weather. Order it right now from the workwear experts at Working Person's Store. This jacket is perfect for the colder days. It's well made and the material is very durable and warm as well as being very comfortable and soft. The hood is pretty big which is perfect for my big noggin. The fit and sizing is spot on and looks great. Very good price for the jacket. Very much recommended. Wrangler Jackets: Riggs Men's Rawhide 3W178 RH Hooded Utility Jacket is being added to your cart.